DAVID LE/Staff photo. 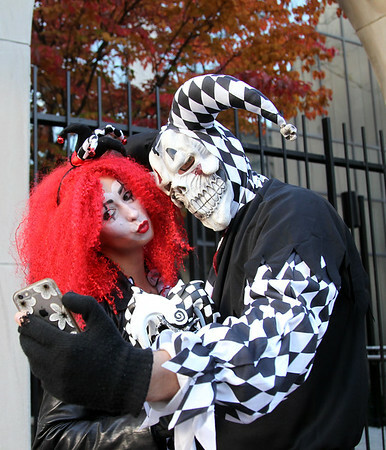 Kristina Duda, and Sean Connolly, of Boston, take a selfie while dressed up as evil jokers on Saturday evening. 10/31/15.